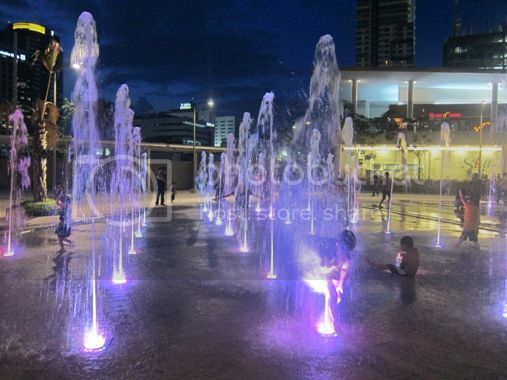 Lovely Water Fountain at Bonifacio High Street! 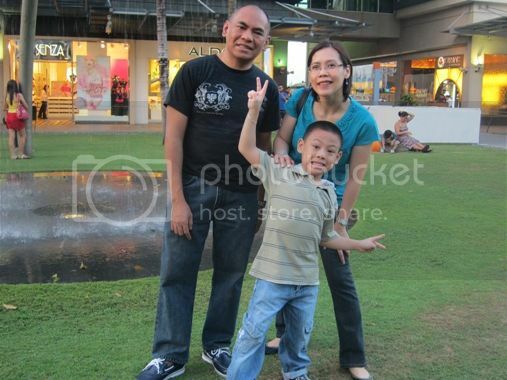 We wanted to walk along the park, and the little boy needed space to run around, so we decided to go to Serendra and Bonifacio High Street one afternoon last April. The little boy wanted so much to catch a bird resting on the grass, but all of his attempts to do that failed. It’s a good thing that there were lots of water fountains around to cheer him up. 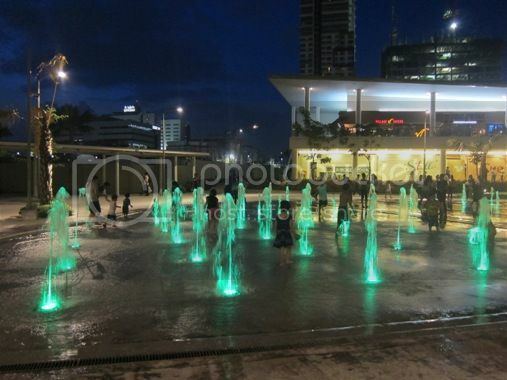 We spotted this particular water fountain at Bonifacio High Street when we were about to go home. 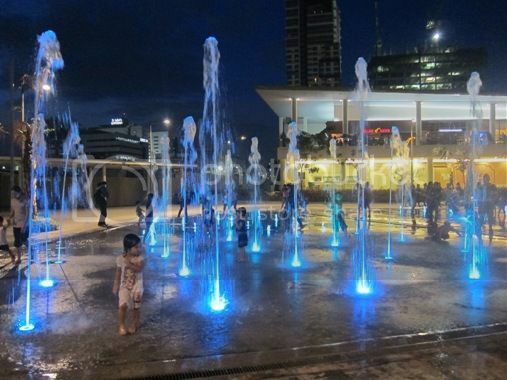 The fountain’s water jets reached varying heights, and the lights changed colors, too, which were a delight to see. A lot of people were watching these awesome sights, but what really caught our attention were the kids bathing in the water fountain. Do these kids live nearby, or do they have extra clothes to change into after getting wet? When the water from the fountain reaches this high, I’m reminded of fire hoses. Lol! The little boy went near the fountain to touch the water, but he got out of it as fast as he could when the water went higher. Well, that’s because he knew that he’d go home wearing wet clothes if he got soaked in the water. He has an extra shirt in his bag, but no extra pants, so nope, he couldn’t bathe in the water fountain like the other kids. Have you seen this water fountain? This entry was posted in Bonifacio High Street. Bookmark the permalink.